This entry was posted on February 21, 2015 by Tinteán Editorial Team/EMcK, in News, Of Musical interest, Popular Culture, What's On... and tagged accordionist, Australia Perth International Arts Festival, Brunswick Music Festival, Irish music, Port Fairy festival. Bookmark the permalink. 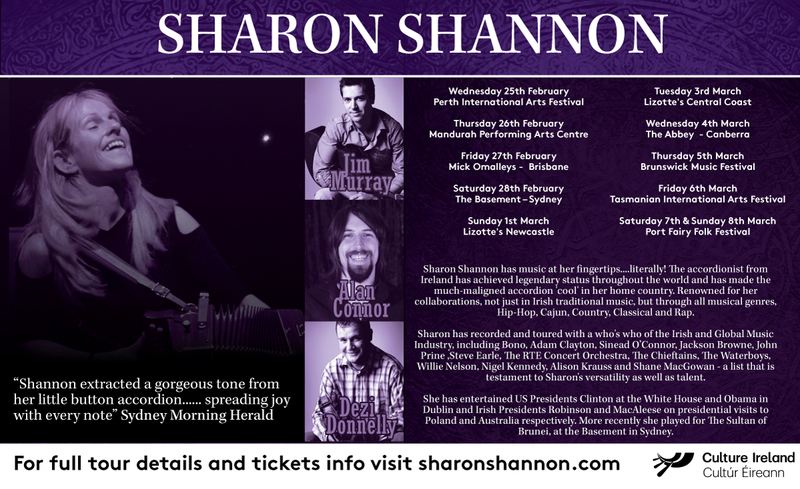 Wed Feb 25, 2015 Perth, Australia Perth International Arts Festival Albany Entertainment Centre Thu Feb 26, 2015 Mandurah Arts Festival P.A.C.